Regardless of one’s political beliefs, everyone can agree 2017 promises to be full of uncertainty regarding healthcare. On President Trump’s first day in the Oval Office, he signed his first executive order aimed at dismantling the Affordable Care Act (ACA). While the proposed American Health Care Act failed to gain enough support to become law in late March, House Speaker Paul Ryan has said that continuing to push for an overhaul of the nation’s healthcare system remains a priority. Most agree a full-scale replacement will take time, and new legislation wouldn’t have much impact this year as government rules for 2017 have already been incorporated into contracts with insurance companies. Furthermore, since the Trump administration has always positioned any potential replacement as a significant departure from the ACA, it could be many years before anything far-reaching is implemented. Long story short: there are still a lot of unknowns about what healthcare will look like in the future under President Trump. But even with all this uncertainty, we know there are a few ways the healthcare industry (and capital development within it) will change in the years ahead. This past December, Congress overwhelmingly passed the 21st Century Cures Act, which boosts funding for medical research, eases the development and approval of experimental treatments, and reforms federal policy on mental healthcare. The bill, signed into law by President Obama, provides $4.8 billion in new funding for the National Institutes of Health, with $1.8 billion reserved for the “cancer moonshot” launched by Vice President Biden and another $1.6 billion earmarked for brain diseases. Importantly, the new legislation places a strong emphasis on science and evidence, pushing federal agencies to fund programs that are backed by solid research. As a result, one trend we will certainly see continue this year and beyond is partnership. Specifically, we’ll see silos torn down between biomedical companies and academic medical centers, and alliances emerging. 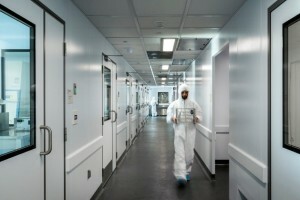 For example, Novartis and Penn Medicine recently came together to launch the Center for Advanced Cellular Therapies — a facility designed for Chimeric Antigen Receptor (CAR) technology, which enables a patient’s own immune cells to be reprogrammed outside of their body and re-infused to hunt for and potentially destroy tumors. The partnership between the two organizations is fueled by their mutual goal of finding more effective treatments for cancer. Although the U.S. is making advances in the treatment of mental health, we have a ways to go before we bridge the gap between the current state and where we need to be. The relationship between physical health, community health and mental illness is complex, and the challenges that need solved are plentiful — from education and access to costs and stigma. Thankfully, as part of the 21st Century Cures Act, mental healthcare will also be getting a boost in funding. The Act provides $1 billion in grants to states to support efforts to prevent and treat the consequences of opioid misuse and abuse, as well as funds for a number of additional areas related to mental health promotion and prevention of illness. This, along with the continued insurance payment advances that were stimulated by The Mental Health Parity and Addiction Equity Act (MHPAEA), has turned mental health into a profitable enterprise for many providers. Looking ahead, mental health providers will seek innovative approaches to destigmatize mental healthcare and normalize the treatment environment. We’ll also see a heightened focus on mental health for children, taking cues from trailblazers like the Virginia Treatment Center for Children — an institution set to open one of the most progressive pediatric behavioral health center’s in the U.S. this fall. Proper utilization will also continue to be a focus; hospitals will look for new ways to make sure non-emergent mental health patients who present at the emergency department can easily be referred to primary or psychiatric care. 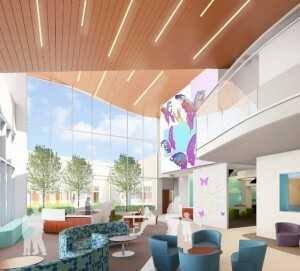 For example, the new University of Kansas Behavioral Health Hospital features a crisis intervention center designed to encourage appropriate utilization and reduce visits to the university’s emergency department down the street. Outpatient care in convenient settings, such as in MinuteClinics and urgent care centers, continues to be a successful strategy in providing accessible healthcare. Based on the success of these models and the overall growth of the ambulatory care market, we’re now seeing a rise in the business case for microhospitals. Microhospitals are “micro” due to their number of inpatient beds (typically 8-12) and their overall compact size. 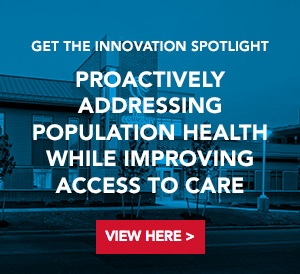 In addition to being convenient for patients, they provide healthcare systems with affordable settings to deliver care, and the ability to test demand in new communities or provide enhanced services in established markets without an extensive investment. Of course, the ability to reduce costs and risk by testing a market before going all in is extremely attractive in the midst of ACA-repeal talks. Although microhospitals usually require more upfront costs than ambulatory care and urgent care centers, they’re significantly more affordable than a full-service hospital and they currently experience a much higher reimbursement than ambulatory care facilities due to their inpatient facility classification. 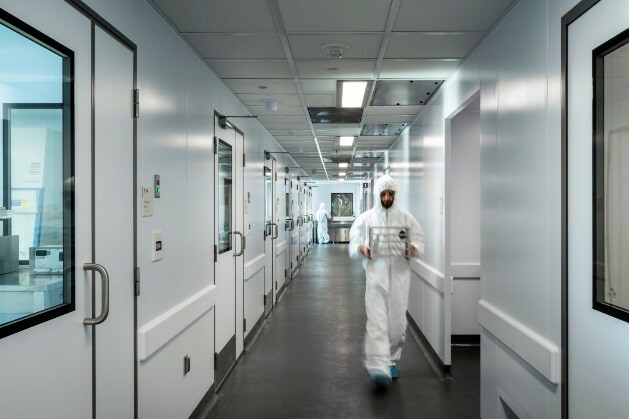 Microhospitals are already being built across the U.S., and with a growing body of research emerging on this new approach to care, we anticipate the number of microhospitals will grow, too. The concept of value-based care is directly tied to the ACA, but even with the impending changes, it’s not likely the focus on value will change: keeping people healthy and out of the hospital will continue to be a wide-spread goal of healthcare providers. While most U.S. healthcare providers still live in a fee-for-service world, there are value-based programs that reward healthcare providers with incentive payments for the quality of care they give to people, as opposed to the quantity. One of the hallmarks of value-based care is preventive healthcare. As organizations strive to prevent illness and promote wellness, we’ll see more and more embracing a human-centered approach to medicine where the well-being of patients truly is the center of their universe. 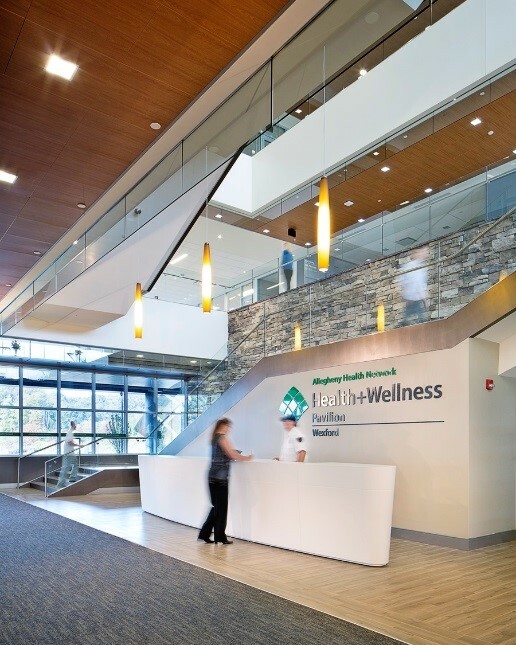 A great example is Allegheny Health Network’s new Wexford Health & Wellness Pavilion, an ambulatory care center designed to make health and wellness an ingrained part of every patient interaction. Part of doing this has to do with offering team-based and proactive healthcare, while a bigger part of has to do with community outreach, education and engagement. We’ll also continue to see an increase in healthcare organizations promoting a culture of health, not just healthcare in the traditional sense, and expanding into nontraditional health settings via partnerships with employers, retailers and community organizations (e.g. Kaiser Permanente’s partnership with Target). The rate of healthcare transformation is becoming so rapid that it’s often difficult for established healthcare institutions and physicians to keep pace, let alone universities who are challenged to educate the next generation of health providers. Most experts agree we are looking at a shortage of health providers over the next 20 years as Boomers age and put pressure on the healthcare system. Looking ahead, we’ll see medical schools emphasizing an interprofessional model of health education where physicians, nurses, pharmacists, public health and allied health students will become accustomed to practicing medicine together. This will allow the highest-educated health providers to extend their reach by utilizing lower-educated professions. Additionally, since hiring innovative health professionals is essential to healthcare systems seeking to increase their own levels of innovation, it’s likely we’ll see more providers separating themselves from others by completely reimagining their approaches to education with inventive new pedagogies. For example, one of the biggest headlines related to healthcare education in 2016 was Kaiser Permanente’s announcement that it will open its first medical school. The school, which will enroll its first students in 2019, will enable Kaiser to influence its physicians literally from the beginning of their professional training — teaching them the Kaiser Permanente “way” from day one. In response to healthcare staffing shortages, we’ll also continue to see an increase in health education degrees provided at the college and community college level. City Colleges of Chicago recently opened Malcolm X Community College in direct response to the projected 84,000 regional healthcare jobs set to come on-line over the next decade. The college was designed with input from local healthcare organizations to ensure the school could funnel students directly into these high-demand jobs. Orchestrating exceptional patient experiences isn’t a new concept, but with a healthcare marketplace filled with established institutions and startups competing for the same patient population, it’s never been more important. But it’s not always easy to get right; the patient experience encompasses every interaction a patient has with a healthcare system — from parking, check-in and wait times to somewhat subjective feelings about design, the quality of cafeteria food, bedside manners of healthcare staff, and that list goes on. With user review platforms like Yelp increasingly being used by patients to share “real-time” experiences, the pressure to perfect the patient experience will continue to intensify. 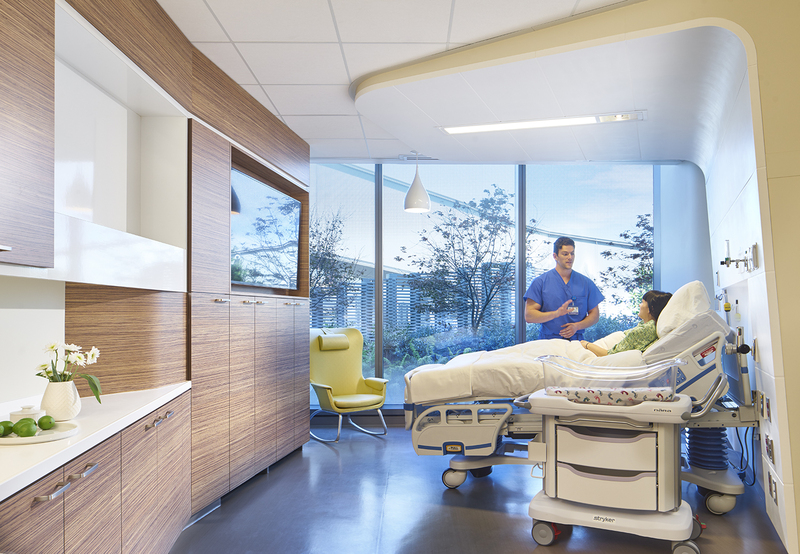 Healthcare organizations will continue to invest in strengthening patient experiences by seeking new links between technology, design and service excellence. With a growing body of evidence-based research about the role design plays in healthcare experiences and outcomes, they’ll not only look to improve and measure the overall patient experience, but also give patients the ability to control their own personal experiences. At the University of San Diego Health’s new Jacobs Medical Center in La Jolla, every patient room is equipped with an iPad that can be operated from the bed. The iPad empowers patient to customize their environment by controlling window shades and temperature, in addition to ordering meals, controlling an in-room Apple TV, and giving patients access to their treatment schedule, medical records and doctor conversations. The new University of Minnesota Health Clinics and Surgery Center is also enhancing patient experience via technology with a program called CareConnect. Patients are given a badge with a tracker when they arrive at the clinic, and the CareConnect program allows clinic staff to easily find patients and get alerted if they’ve been waiting too long. Coupled with a patient experience modeled after Apple retail stores where concierges greet patients with mobile technology, the clinic has been able to decrease wait times and improve personalization and privacy. While healthcare re-reform will mark another important moment for U.S. healthcare — and will likely create change that is at this point difficult to exactly predict — all of the aforementioned advancements will continue to shape the future of healthcare capital development, regardless of what that future ends up looking like.